DevOpsDays DC will return July 17-18, 2017. Change is in session! DevOpsDays DC was held June 11 and 12, 2015 at the US Patent and Trademark Office in Alexandria, Virginia. 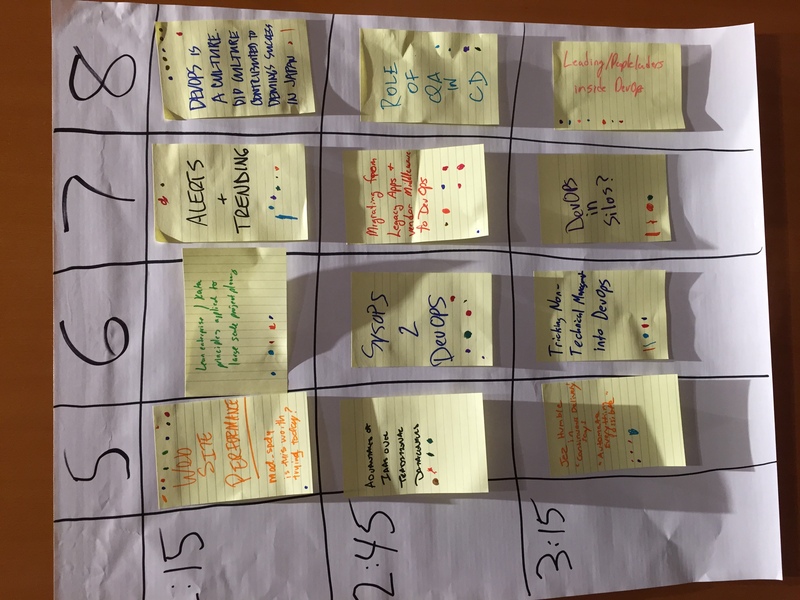 Read more about DevOpsDays DC in our latest press release. The Ayes Have It - DevOpsDays DC is a wrap! 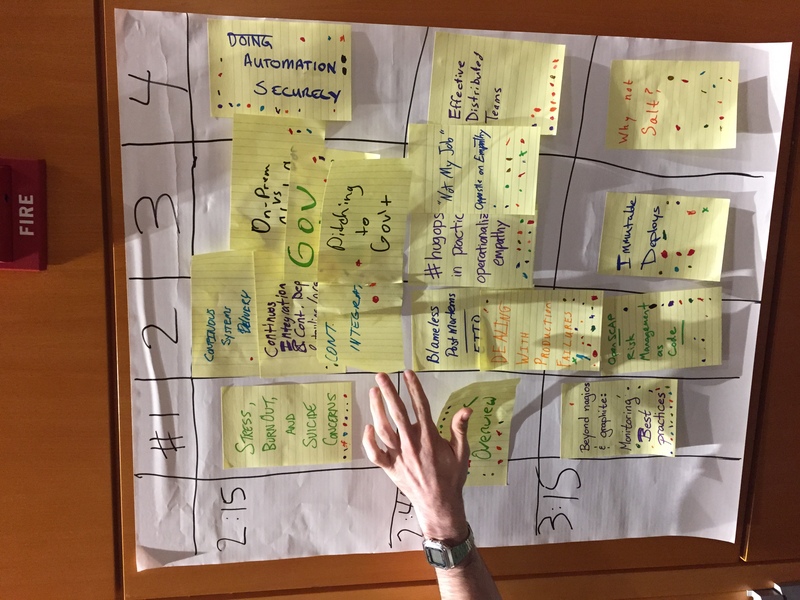 The inaugural DevOpsDays DC is in the books, and was a resounding success. THANK YOU to everyone who helped made it happen - our partners at the USPTO, all of our sponsors, our talented and engaging speakers, dedicated volunteers and organizers, and most importantly our 400+ attendees from the private and public sectors and everywhere in between. Video of the keynotes and ignites. Ready for more DevOpsDays? 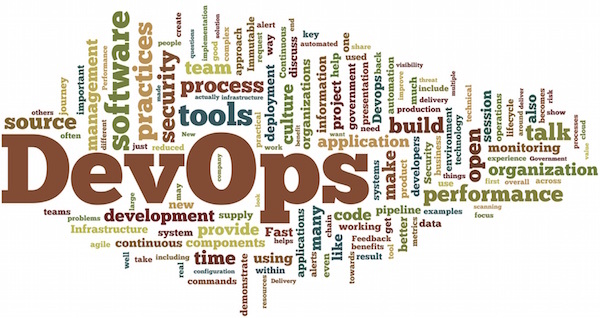 DevOpsDays DC will return June 8-9, 2016. In the meantime, if you're looking for more DevOpsDays, there are several upcoming events in both CONUS and OCONUS - road trip!